Fulfilling the destiny of a Fine Watchmaking manufacturer continuously impelled by daring, authenticity and pleasure since 1865. The future of Swiss Watchmaking. A Tribute to the Café Racer Spirit. 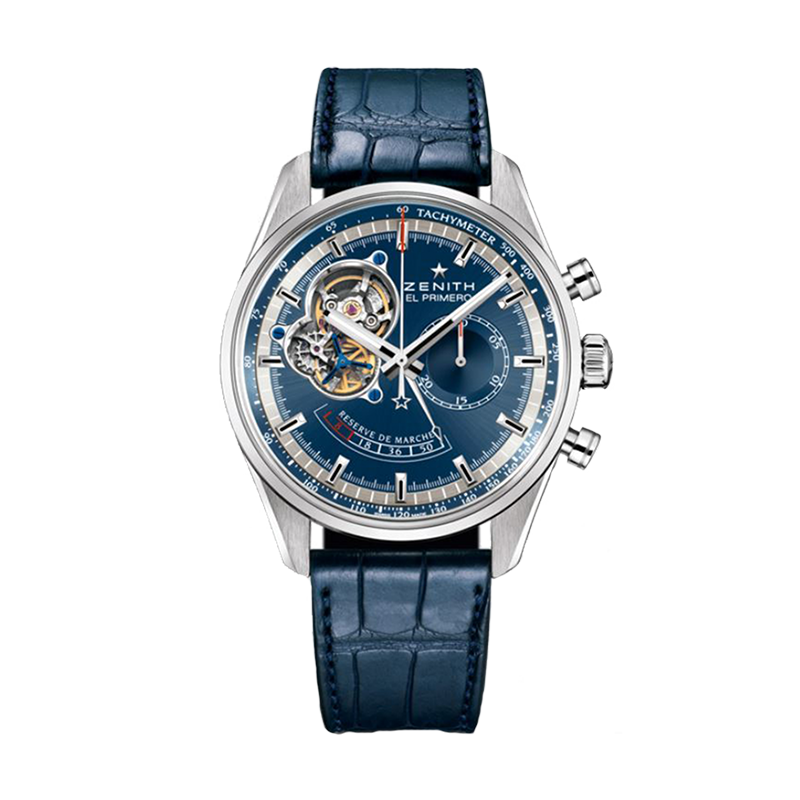 Zenith Chronomaster is the most famous movement in the history of watchmaking and is included in the vernacular of watch enthusiasts everywhere. While all others generally beat at a rate of eight vibrations per second, the Zenith Chronomaster beats ten times in that same second. 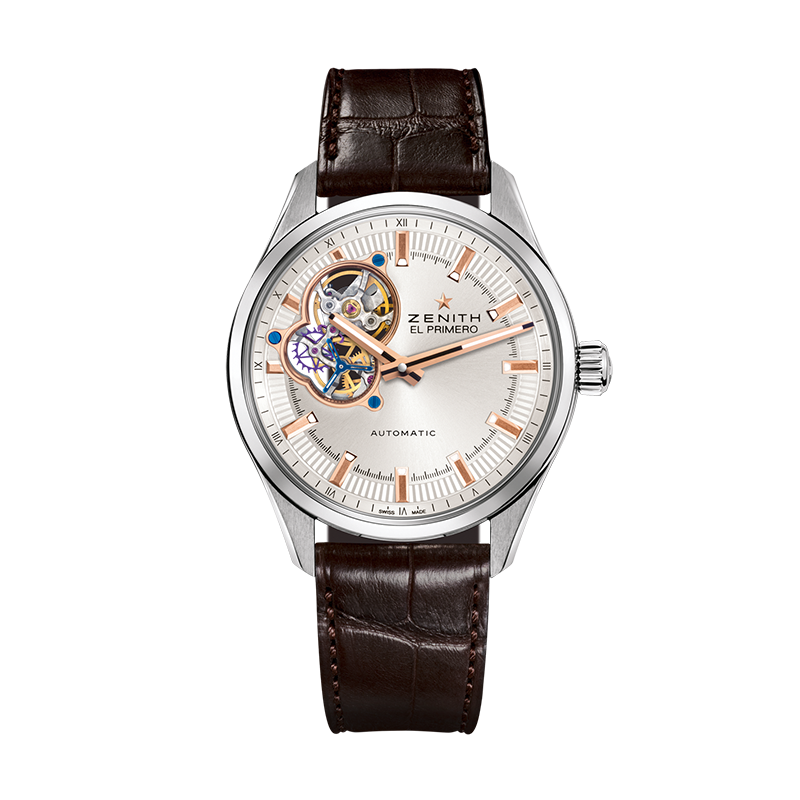 Discover the Chronomaster collection on Goldsmiths, starting from £4,800 or £90.00 per month. 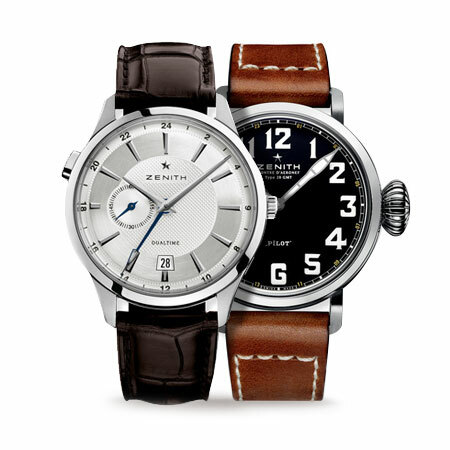 The Zenith Heritage Collection feature models that allude to different periods in the group's manufacturing history, representing the many components that have forged the brand's excellent reputation. Discover the Heritage collection on Goldsmiths, starting from £3,600 or £67.50 per month. The height of mechanical excellence meets true elegance; the Zenith Elite family marries modernity with instant classic pieces, including the Power Reserve, Moonphase and Ultra Thin models. 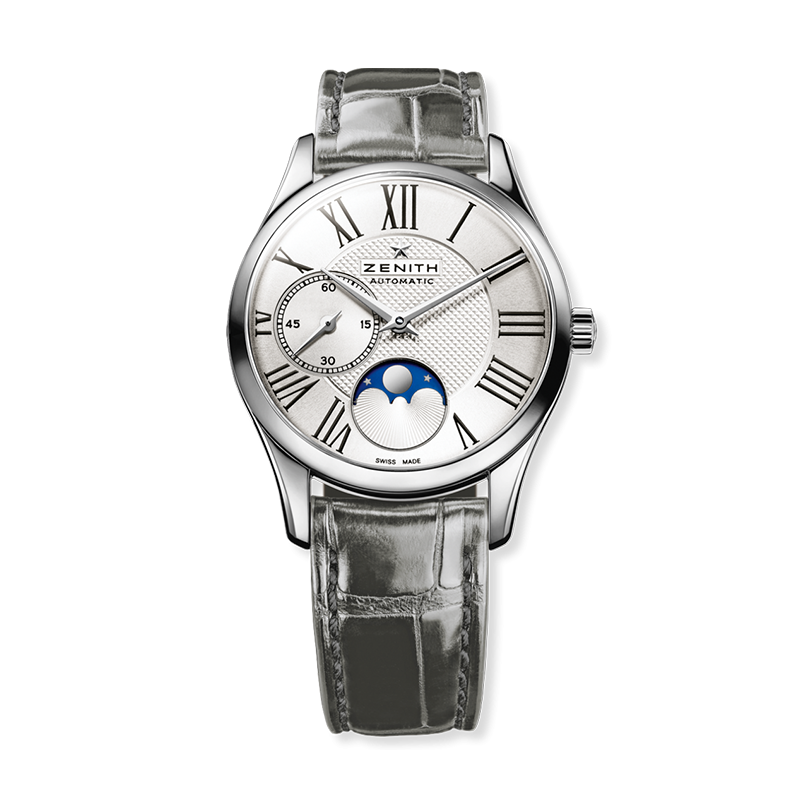 Discover the Elite collection on Goldsmiths, starting from £3,400 or £63.75 per month. Discover the entire collection available on Goldsmiths, starting from £3,400 or £63.75 per month. Still located in the premises where it was founded in 1865, the Manufacture Zenith currently houses 80 professions exercised by its 250-strong personnel. 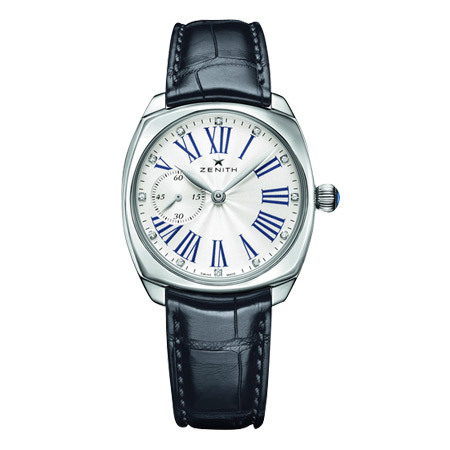 Whether exponents of the more artistic crafts or of ultra-technical skills, all are engaged in the task undertaken by Georges Favre-Jacot almost 150 years ago: that of mastering each gesture in order to enable free-spirited creation of mechanical marvels combining noble watchmaking traditions with avant-garde innovations. 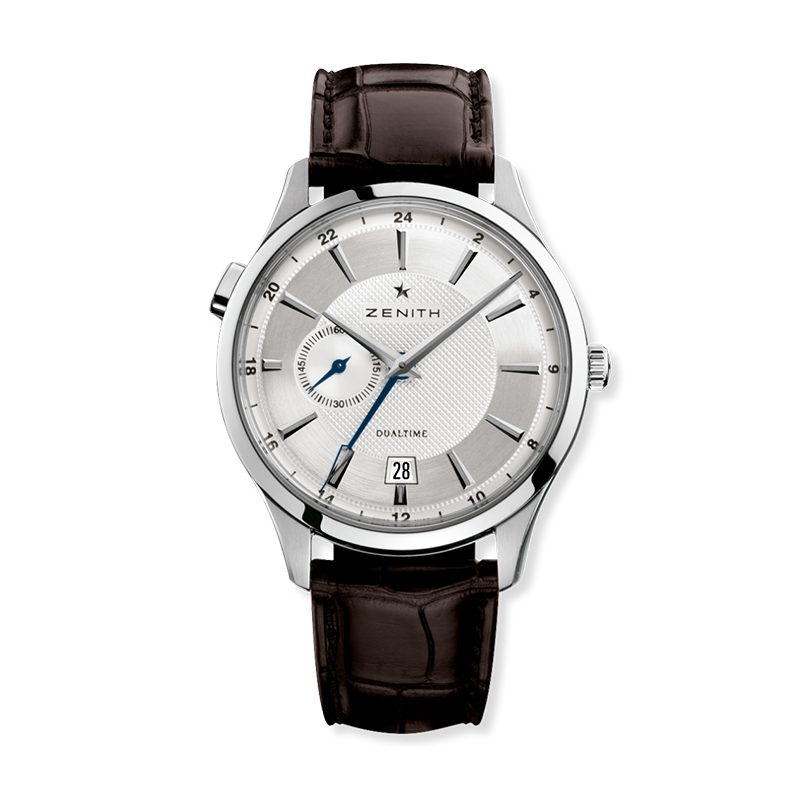 Since 1865, Zenith has been guided by authenticity, daring and passion in pushing the boundaries of excellence, precision and innovation. Soon after its founding in Le Locle by visionary watchmaker Georges Favre-Jacot, Zenith gained recognition for the precision of its chronometers, with which it has won 2,333 chronometry prizes in just over a century and a half of existence: an absolute record. 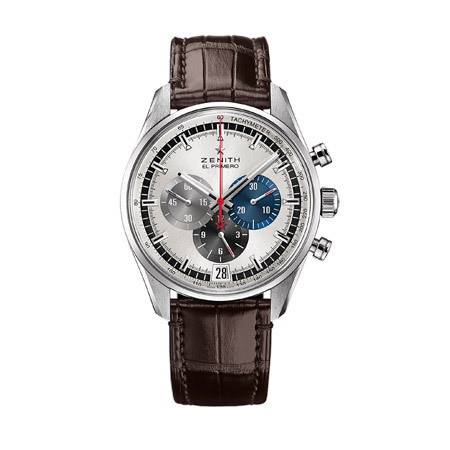 Famed for its legendary 1969 El Primero calibre enabling short-time measurements accurate to the nearest 1/10th of a second, the Manufacture has since developed over 600 movement variations. Today, Zenith offers new and fascinating vistas in time measurement, including 1/100th of a second timing with the Defy El Primero 21 and a whole new dimension in mechanical precision with the world's most accurate watch, the 21st century Defy Lab. 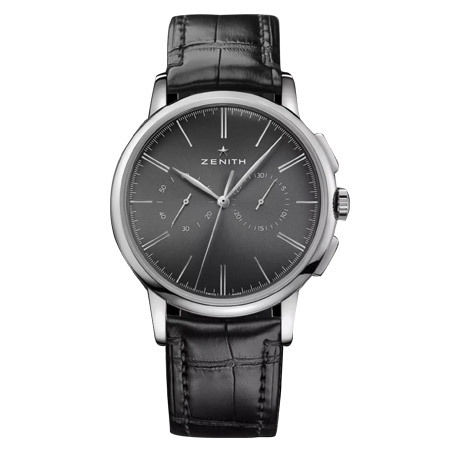 Energised by newly reinforced ties with a proud tradition of dynamic, avant-garde thinking, Zenith is writing its future...and the future of Swiss watchmaking.